The Huk Kryptek Trophy long sleeve fishing shirt is a technological feat of engineering certain to please the most avid angler. This Huk fishing shirt features a proprietary fabric engineered to keep you cool and ready for action. This Huk shirt features the popular Kryptek pattern – a bold statement which helped establish Huk as a brand that looks good both on and off the water. The Huk Kryptek Trophy long sleeve fishing shirt is a technological feat of engineering certain to please the most avid angler. This Huk fishing shirt features a proprietary fabric engineered to keep you cool and ready for action. 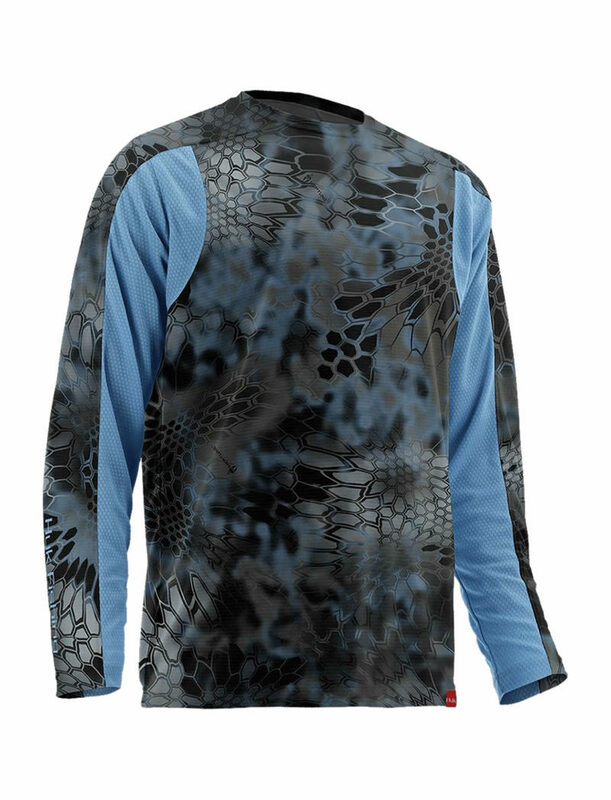 This Huk shirt features the popular Kryptek pattern – a bold statement which helped establish Huk as a brand that looks good both on and off the water. The Huk Kryptek Trophy fishing shirt also provides superior sun protection – a feature you’ve come to expect from Huk performance fishing apparel.